ShockLog Cellular gives you real-time information about your assets from anywhere in the world. 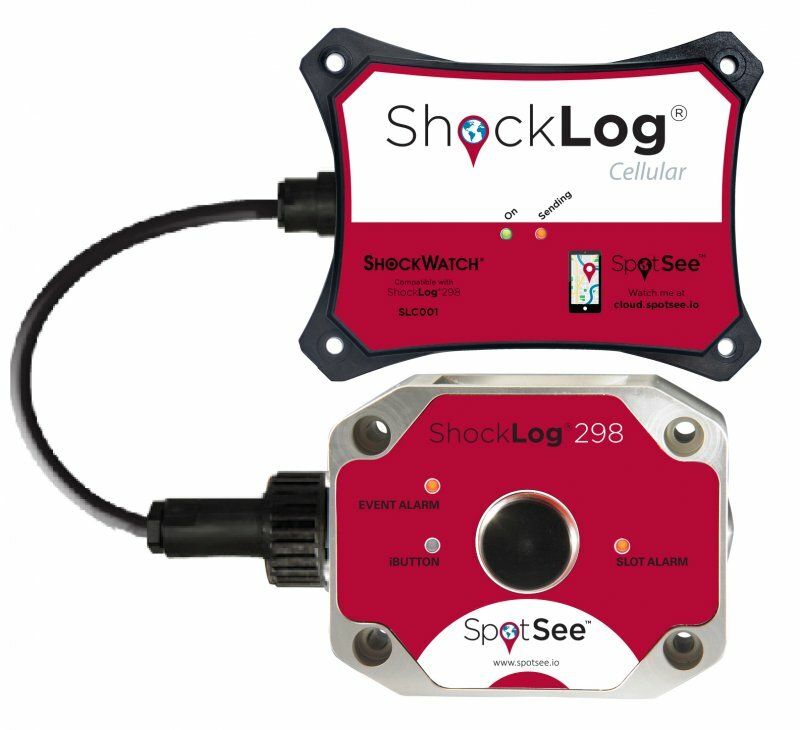 ShockLog Cellular is an accessory that easily connects to any ShockLog 298 impact recorder, giving you real-time location, time, and shock alerts. In addition to mobile alerts, trip information is accessible via a user-friendly cloud application that can be accessible from anywhere in the world. With the financial impact of cargo loss exceeding $50 Billion annually, LogLink enables you to know that your assets are travelling safe and sound to their destination. Connects to any new or existing ShockLog 298. Real-time alerts, location and impact value information when an event occurs. ShockLog Cellular utilizes global cellular networks to send data into the ShockLog Cellular online portal. Cellular networks are widely deployed worldwide and, unlike satellite, will work without line of sight. ShockLog Cellular can be used in warehouses and in closed containers. If a cellphone indicates network availability, ShockLog Cellular will have service. Robust battery life is ideal for long journeys of up to 90 days when reporting at 1 hour intervals. Easy-to-use cloud-based interface that is accessible anywhere in the world. During the journey, ShockLog Cellular will track your asset and alert you of any impact in real time. You can monitor your assets from wherever you are through a user-friendly cloud-based portal. entire journey: peak acceleration values for all three axes reported on a time basis as well detailed impact curves. Zoom in for a closer view, or export data into programs such as Excel and Matlab for more detailed analysis.